Escape your time-draining SEO tasks and get the most up to date SEO strategies for your website every month. 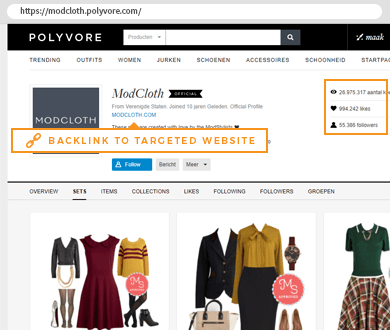 We have combined our most effective link packages like Q&A, Press, Brand and Review links, into one comprehensive solution. What would happen to your website rankings, traffic, and profits if every month you had a team of SEO professionals put their best techniques to work for you? Even in the most competitive niches, we help you drive quality traffic to your website! We use only discreet, safe, and Google-preferred strategies to deliver top rankings. You get a diversified set of at least 20 backlinks from 17 different link sources every month. We create a comprehensive SEO roadmap for your site and work on it every month to help you achieve your goals. Each year, we work on thousands of different SEO campaigns, allowing us to see which backlinks bring you the best results. We not only have the opportunity to apply our proven techniques , but it also provides us the opportunity to develop new link building strategies in-house each and every month. Let us show you the four-step ranking process! In month one, we lay the foundation for your successful SEO campaign. 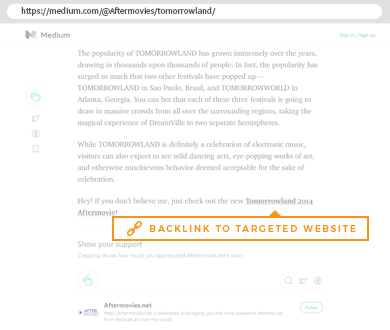 Together, we decide which URLs and keywords should be targeted. Then, we create a content strategy and write a custom on-site optimization report that provides you with tons of helpful tips. 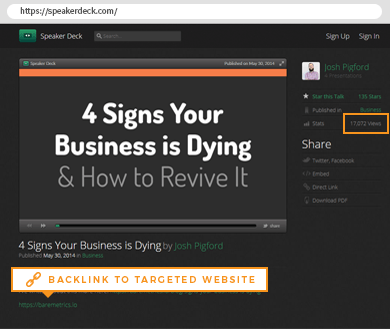 Finally, we get started on building your backlinks. Our writing team gets to work on creating interesting content for your niche. Your audience will love reading our how-to guides, press releases, listicles, Q&A and more because we make them relevant and engaging while helping you sell your products. We take the time to find the best possible places for your backlinks and content. The Monthly Mix package is the perfect service if you want backlinks that both generate traffic and increase rankings at the same time. Every month, you will get 20, 30 or 40 fresh new links, depending on the package you choose. We'll apply the Expansion package after a couple of months. This means that we'll add new content to existing accounts, making your links even more powerful and ensuring that search engines won't forget them. You can now sit back and relax! We will send you a report every 4 weeks. While we are working on your report, we keep you updated on what has been done, and what steps we will take to optimize your site. In our emails, you’ll receive an overview of where we stand and what the plan is for upcoming weeks. Every month, you will have an innovative plan in place to help you dominate the SERPs. Maximum Link Diversity Links from a variety of sites that signal trust and authority. High Authority Domains Established websites with high Domain Authority. 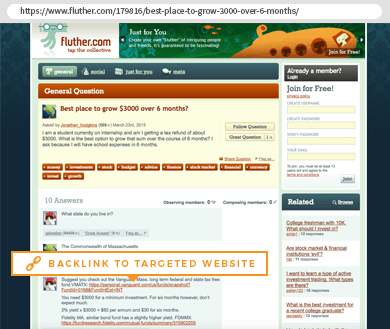 Contextually Relevant Relevant content related to your niche with well placed outgoing links. Not “Up For Grabs” Unique link opportunities only — keeping you far ahead of your competition. Natural Anchor Texts Careful use of branded and universal anchors to safely link back to your site. See The Powerful Results Our Backlinks Are Bringing! We treat every client with the individual attention they need. 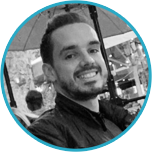 Here, you can see how backlinks were carefully built to achieve the greatest impact. Smart use of social platforms to connect with your target audience. Viral articles on popular content platforms like medium.com. 13k views on 1 informative slideshow. Strong links that get hundreds of hits per day. Showing search engines that your brand is socially engaged and trusted within your niche. We build a connection with your potential customers, by providing well-researched answers on sites like Quora.com. Reviews are essential for your online reputation. 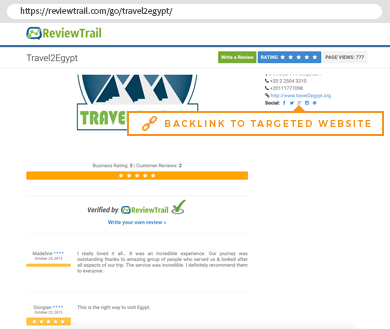 We publish the best testimonials about your brand on large review sites. Site 1 Highly Competitive Keyword (2 Words) in the Self Improvement Niche. Site 2 Steady Rankings After Only Two Weeks. Medium Competitive Keyword. If you’re reselling our Monthly Mix service, you can get discounts of up to 15%! We include your company logo on the reports so your clients will never know who did the hard work. You can easily mark up the Monthly Mix package without having to worry about missed deadlines, broken links, or low quality content. Being a reliable and professional business partner is something we take very seriously. Contact us if you plan on ordering 3 or more Monthly Mix packages for your clients. BASIC $299 per month Choose the Monthly Mix Basic package to get a diversified set of 20 backlinks per month. ADVANCED $399 per month Choose the Monthly Mix Advanced package to get a diversified set of 30 backlinks per month. PROFESSIONAL $499 per month Choose the Monthly Mix Professional package to get a diversified set of 40 backlinks per month.